Rodriguez ‘Jacquees’ Broadnax is an American R&B and hip-hop artist from Georgia. Best known for his songs ‘At The Club’ featuring Dej Loaf and ‘B.E.D.’ which rode high on the Billboard charts for 7 weeks in 2016, peaking at No. 69. 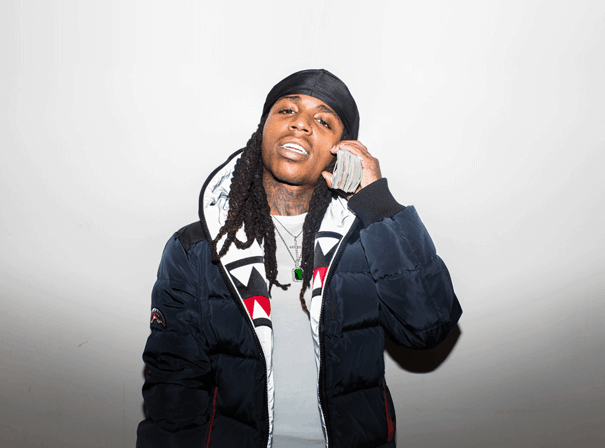 Jacquees is signed to Cash Money Records, frequent home to Lil Wayne, and often collaborates with label CEO Bryan “Birdman” Williams. He independently released his second EP 19 in 2014, debuting at No. 15 on the US Billboard Top R&B Albums chart. The following year Jacquees released his debut album 4275 featuring the ultra-hit “B.E.D.” – described as “charmingly naughty” by Pitchfork, the album has introduced the artist to the global music scene. Jacquees has collaborated with the likes of Young Thug, Chris Brown, Trey Songz, Wale, and more, performing at various festivals and venues across the world – his first headline tour, the Mood Tour, was completed in 2016. Following the release of his buzzed-about debut album, he’s issued the mixtape Lost At Sea 2 and the incendiary single “You”, peaking at No 58 on Billboard’s Hot 100.